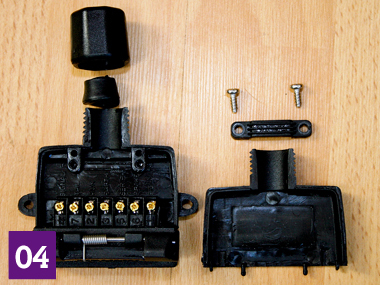 ONE OF THE easiest and cheapest jobs you can do is repair a faulty or damaged plug on your van, or a corresponding trailer connector on your vehicle. 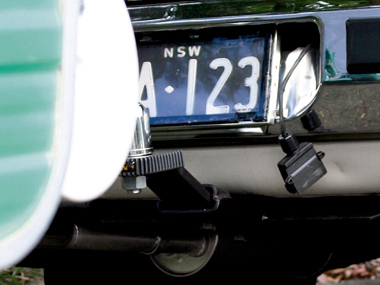 A plug or trailer connecter won’t cost you more than $25. Only attempt this if you feel you are reasonably handy; if patience isn’t your strong suit then it may be better left to an expert. If you’re prepared to go slowly, have the right tools and double check what you’re doing, then you should be fine. 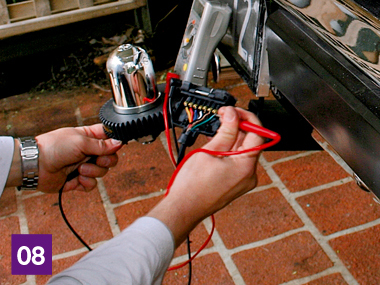 Connections corrode if exposed to weather for long enough, and this corrosion can eventually cause the connection to fail. Plug pins can also break through misuse or metal fatigue. 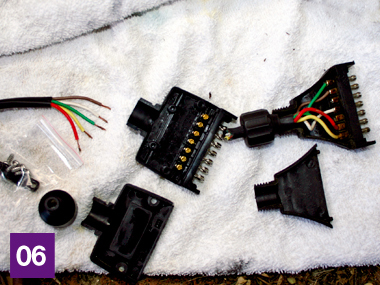 A simple fix for the former problem involves disconnecting and then stripping wires before reconnecting them, while for the latter it’s simply a matter of re-gapping closed-up pins – but it’s just as easy to replace the complete plug if it’s seen better days. We wanted to fit a seven-socket trailer plug to a vehicle that was already fitted with a seven-pin round, so we could match our van’s seven-pin flat plug. Fitting a seven-pin flat connector is the same in principle as for seven-pin small, seven-pin large and 12-pin sockets. Replacement of the pin plug on the caravan follows the same method. You only need the most basic of tools – a Phillips head screwdriver or two, one flat-blade screwdriver, a wire-stripping tool (if required) and a multimeter. The whole job start to finish should take no more than 30 minutes, and that’s taking your time. 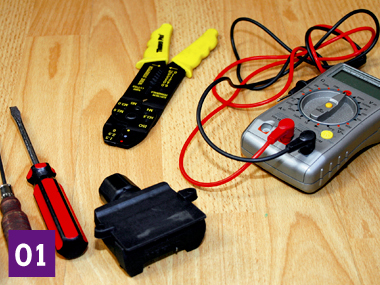 01 Assemble the necessary parts and tools: wire stripper, small screwdriver, multimeter and replacement plug or socket. 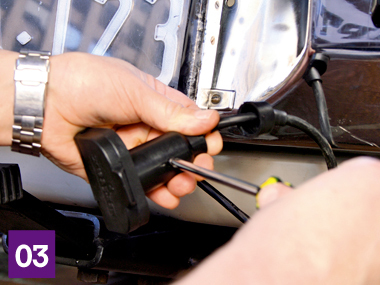 02 Disconnect the positive terminal of the vehicle’s battery if replacing the vehicle connector, or disconnect the positive terminal of the caravan battery (if fitted) if you’re replacing the caravan plug. 03 Unscrew the plug cover end and either unclip or unscrew the plug body, before gently prising it open. 04 Check that new and old plugs share identical terminal numbering and wire insulation colour. If there is a discrepancy, you’ll have to stop here and cycle through a light and brake test to ensure each wire does what it is supposed to. 05 Unscrew wires from the old plug, noting that the wire insulation colour corresponds with the position on the plug as noted with the new plug. 06 If wire cores are corroded, cut and strip insulation from the cores so that they can be secured to the terminals (this illustration shows the trailer plug, as our vehicle connector was not corroded and the wire insulation did not need stripping back). 07 Fit the end cap and sealing plug to the cable, then secure wires to the terminals, noting that the position and number correspond with the wiring diagram supplied with the plug. 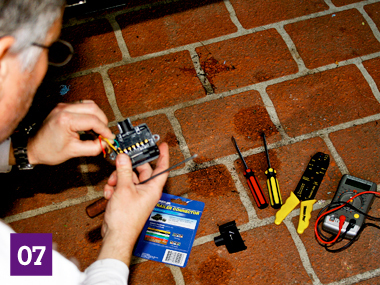 08 Reconnect the battery and then check that each connector circuit is functioning, using a multimeter set to at least 12V. 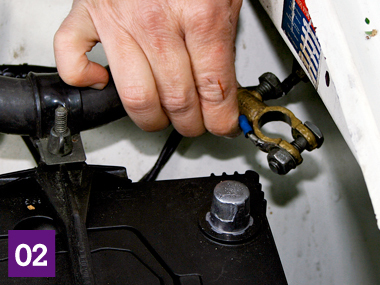 You won’t necessarily get readings of 12V (voltage drop will occur from the battery to the trailer connector), but if there is no reading for any circuit, its cause needs to be investigated before going any further. 09 Refit the body of the connector and refit that to the connector securing point. 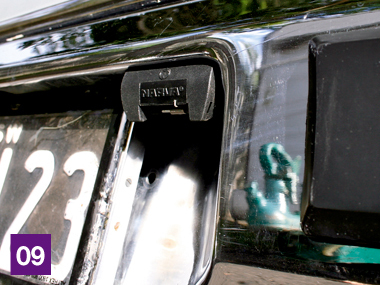 Here’s the finished product – in our case we fitted the plug in the number plate aperture in the bumper bar.